SACC – Dallas is excited to invite you to an evening with the Guinness Record holder of most drives over 300 yards in one hour. We will gather at the Plantation Golf Club in Frisco, where Andy Frakes will host a Golf Clinic at the driving range and short game area. It’s for everyone; avid golfer will learn some new tricks and the beginner will get a fun introduction to the game of golf. After the lessons, we will gather at the Club House bar for a drink and networking. Andy will also ‘show off’ some of his Long Drive skills, using a 3 degree driver. Member of the Callaway Kings of Distance Long Drive Team and Guinness Book of World Records member, Andrew Frakes has proven himself on the course and shown his passion as a competitor of the sport. 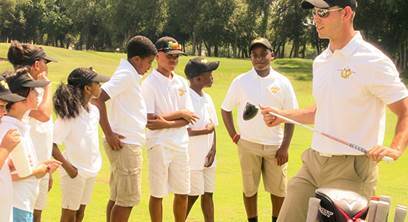 Andy is the head coach of the Arcis Players Club program featuring a top-flight staff of PGA Professionals. The wonderful thing about golf: no matter how good you are, you can always get better. That’s the thinking behind the Arcis Players’ Club, a special program for golfers, regardless of their skill, to play more and play better.